Home Clothing Who is Emily Bond? 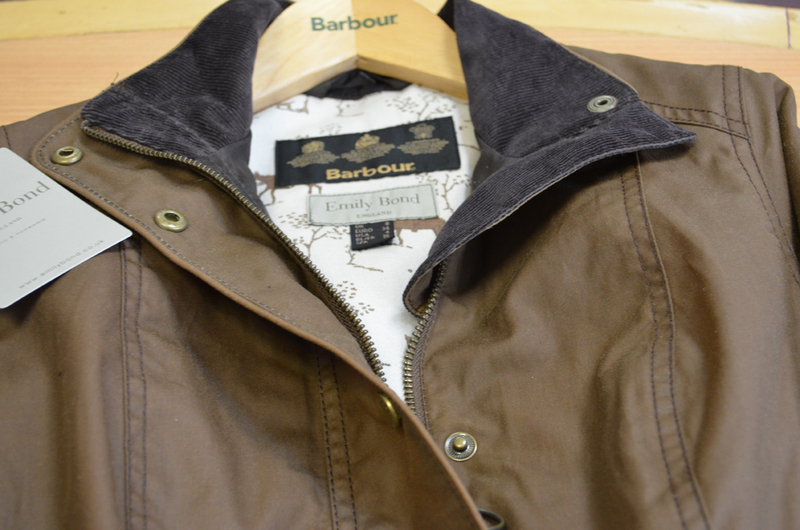 Barbour fans will soon be hearing the name Emily Bond echoing around the Autumn Winter 2013 collections. This is because Barbour has teamed up with the British designer to create a new range of linings for some of their products. Even if you don’t know the name, you are likely to have seen some Emily Bond prints, as she has shot to popularity since she launched her first range of prints only 6 years ago in 2007. With the British countryside as one of her main inspirations, her designs focus mainly on animals, while other designs include using the Union Flag, and fun prints for children. 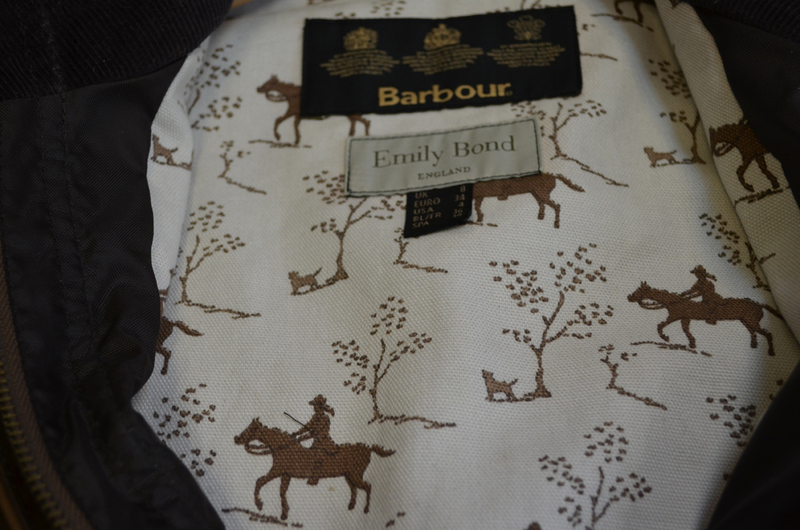 Barbour has chosen a horse print lining to complement their new Horse Print Ferndown and Horse Print Cavalry jackets. 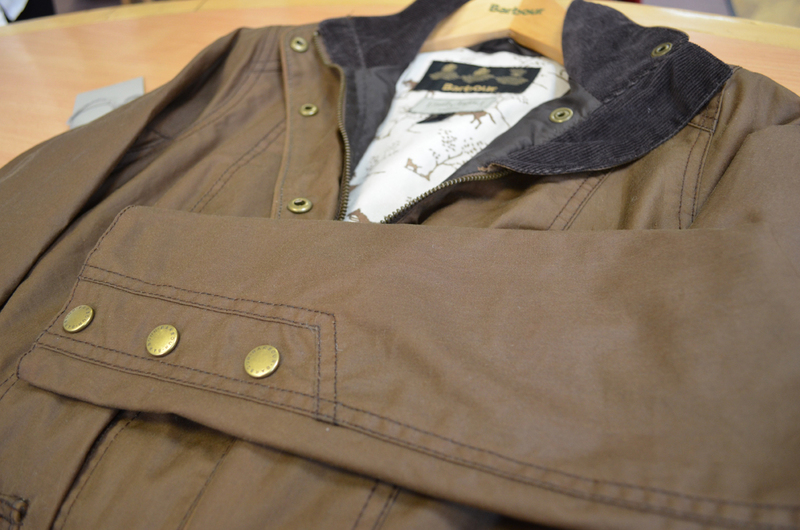 The Horse Print Ferndown (below in Bark) is a wax jacket using Barbour’s iconic Cavalry style jacket, which comes from their Equestrian range. The lining looks great whether you choose this jacket in Olive or Bark and it has all the features you’d expect from a Cavalry, namely an elasticated waist panel to aid movement, a two way zip that can go right up to your neck and a few pockets. The Horse Print Cavalry jacket is a quilt jacket in the Cavalry styling. With the same features as the Ferndown, this is great if you want something a bit lighter, or you prefer quilt over wax. The Horse print lining looks great against the Olive outer of the jacket, and one of the best features about quilts is that they’re washable! The range also includes the smart Nutwell Blazer which could easily be worn in the country or city. The suedette top colour and trim on the pockets complements this tailored tweed blazer and the lining looks great too. 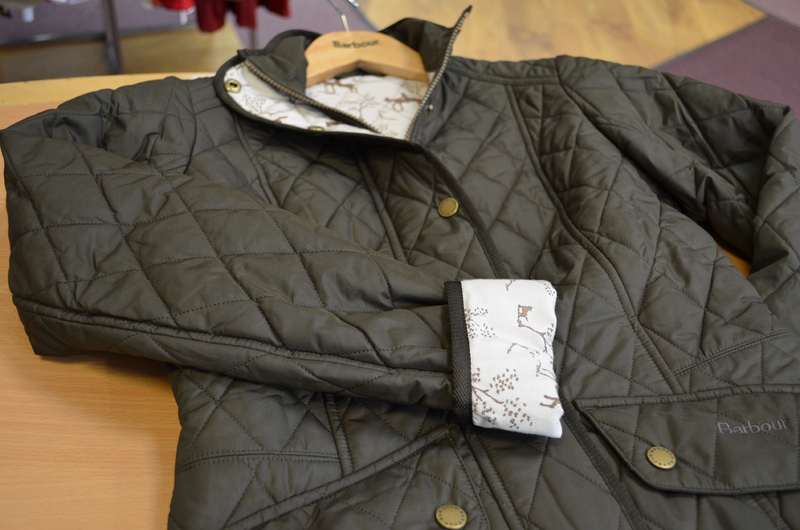 If you like the Horse print but not the jackets, Barbour has also used the print to create the Horse Print Wrap (coming soon online); made from 100% lambswool this can be worn as a scarf or a wrap, and looks lovely as a standalone item, or if worn with the Horse Print Ferndown, Cavalry or Nutwell. We hope you’ll love the new Emily Bond range as much as we do, and if you’d like to know more about Emily Bond, please click here. barbour, Barbour Cavalry, Barbour cavalry jacket, Barbour Emily Bond, Barbour Ferndown, Barbour Ferndown jacket, Barbour jacket, Barbour Quilt, Barbour scarf, Barbour Wax, Barbour Wrap, Cavalry, Cavalry jacket, Emily Bond, Emily Bond horse print, Emily Bond horse print jacket, Emily Bond horse print lining, Horse Print, Horse Print Cavalry, Horse Print Ferndown, Horse Print jacket, Horse Print lining, Horse Print quilt, Horse Print wax, Horse Print wrap, Hosr Print scarf. Bookmark.